Fourth Presbyterian Church has a long history of vibrant and mutually beneficial relationships with neighboring communities from the Jewish, Muslim, and other faith traditions. The Interfaith Relations Committee of Fourth Church supports our community’s efforts to deepen our Christian faith by engaging the faith traditions of others. We serve as a resource to our church’s members, ministries, and friends in seeking to promote understanding, fellowship, and service for the common good among all people of faith. Each Tuesday before Thanksgiving, Fourth Presbyterian Church, Chicago Sinai Congregation, Holy Name Cathedral, and other partners gather for a service of thanksgiving. Each congregation takes a turn hosting the service, with the other congregations providing music and worship leadership. Our Interfaith Relations Committee is delighted to be partnering with the Niagara Foundation to again cohost a special Iftar dinner during Ramadan. This year this event will bring individuals from different religious and cultural communities together for a program on self-renewal through service, an opportunity to learn about the significance of the month of Ramadan in Islam, to engage in friendly table conversation, and to break fast with an Iftar dinner. Persons of all faiths are welcome and encouraged to attend. We will be joined by speakers Jenan Mohajir and Nanette Sawyer. Jenan Mohajir, international programs specialist, oversees Interfaith Youth Core's international programs and serves as a senior member of the training team. In this role, Jenan has led intensive interfaith leadership training programs in the United Kingdom, Qatar, Australia, and India. Jenan is a committed Muslim, and received her B.S. from DePaul University in elementary education and Islamic studies. In 2007, she received the Young Alumni Spirit Award from her alma mater, DePaul University, for her work as a young leader in the field of building interfaith cooperation among diverse communities in Chicago and around the world. Jenan is originally from India, grew up in Qatar and the United States, and speaks fluent Hindi and Urdu. 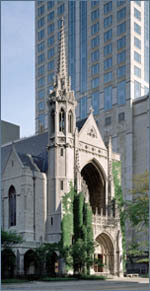 Nanette Sawyer serves as a pastor at Fourth Presbyterian Church in Chicago. The author of Hospitality the Sacred Art, Nanette teaches about the spiritual side of hospitality and how intentionality in relationships can be healing and transformative. Committed to mutually enriching interfaith relationships, she writes as a Christian who reclaims the historically dynamic nature of Christianity, as well as its roots in hospitality, service, and generosity. Nanette studied at Harvard Divinity School where she received a masters of theological studies with a focus on comparative world religions. She received her masters of divinity degree at McCormick Theological Seminary in Chicago and was ordained in 2002 as a minister in the Presbyterian Church (USA). In addition to her book on hospitality, Nanette has chapters and articles in a number of books and magazines. A sought after speaker, she has blogged for The Christian Century and The Hardest Question (affiliated with Augsburg Fortress Press). You can find out more about her at nanettesawyer.com. Discussions of books on interfaith topics, such as Bruce Feiler’s Abraham: A Journey to the Heart of Three Faiths, as well as discussions with interfaith partners are among the ways in which we learn about and engage the faith traditions of others. 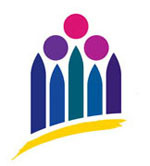 A complete listing of religous holidays for this year and future years can be found at www.interfaithcalendar.org. All Jewish holidays begin at sundown of the day prior to the date listed. As part of the 9:30 and 11:00 a.m. worship services, world-renowned Chicago violinist Rachel Barton Pine accompanied an interfaith dialogue presented by two members of the Interfaith Youth Core, Hind Makki, Outreach Education and Training Associate, and Erin Williams, Chicago Projects Coordinator and the author of the dialogue. Interfaith Youth Core (IYC) works on college and university campuses to make sure that as religiously diverse young people interact, this interaction leads to positive, cooperative relationships in local communities by inspiring, networking, and resourcing young people to build new relationships built on mutual respect. Instead of focusing a dialogue on political or theological differences, IYC builds relationships on shared values, such as hospitality and caring for the earth, and how those values can be lived out together to contribute to the betterment of the community. Krista Tippett, who spends much of her time interviewing others on public radio’s Speaking of Faith, became the interviewee for an evening. Eboo Patel, Founder and Executive Director of the Interfaith Youth Core, ill asked the questions of Ms. Tippett, who hosts American Public Media’s weekly program on “religion, meaning, ethics, and ideas,” drawing out compelling and challenging voices of wisdom on the most important subjects of twenty-first-century life. She is also the author of the book Speaking of Faith, which she wrote, in part, to answer the question she is often asked: how she went from a life and career of geopolitical engagement to becoming a religious person again and studying theology. This service for the community was hosted by Chicago Sinai Congregation, the Downtown Islamic Center, Fourth Presbyterian Church, and Holy Name Cathedral. Youth from each community read during the service, leaders from the communities offered reflections, and a combined ninety-five member choir premiered Aaron David Miller’s “Voices of Peace,” based on poems by children on the topic of peace. A children’s choir from the Downtown Islamic Center also sang, and all worshipers participated in candlelighting. Afterwards a reception was held in Anderson Hall, with each of the cohosts bringing refreshments. In this piece, Associate Pastor Joyce Shin, who helped plan the tenth anniversary service, reflects on the music that held the service together. If you wish to receive periodic updates of upcoming interfaith events, please send your email address to Anne Ellis. For more information about interfaith relations and opportunities, contact Anne Ellis (312.573.3369).